The impression we get from ExpressVPN is: this is top notch. ExpressVPN scores high marks with us, and may even be one of the best services around today. A VPN-provider’s strength is best measured by its ability to offer server space to customers in countries where they want to check out content. ExpressVPN is one of the frontrunners on this account. It currently operates over a 1000 servers at 145 locations in 94 countries. Both the geographical spread of the service, and also the sheer amount of server capacity add to the service of this provider. Up- and download speeds are amongst the highest we found in any VPN provider, and there always seems to be a server close to where you want to browse. Unsurprisingly, the majority of servers sits in the US (aiding non-Americans in their US Netflix binging). But ExpressVPN also offers an impressive range of servers in more exotic locations in South America, Asia, and also Africa. ExpressVPN has apps for most popular operating systems. Software is available for Windows, Mac, iOS, Android, and even Linux, and each app immediately impresses by being easy to use. 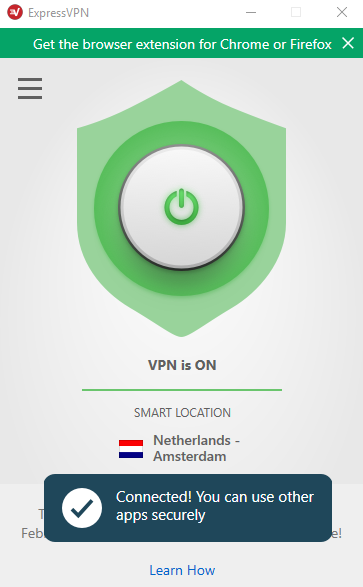 Start the app, and ExpressVPN connects your device to the nearest VPN server – you’re good to go merely seconds after opening the app. Want another server, in a different location? 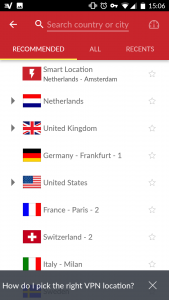 Simply check a list, and connect to a server in a location of choice. Specs of this specific server won’t be shown initially. But once connected, another click will have the app run a speedtest for you – a function many users will appreciate. 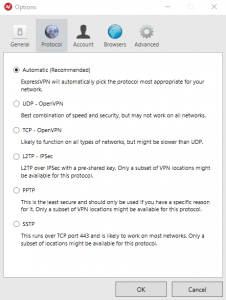 Want to use VPN to check US Netflix? 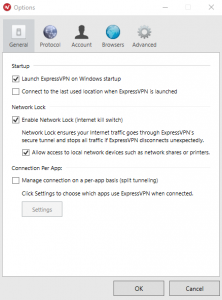 ExpressVPN seems almost tailor-made for this purpose, from their giganormous server network to giving active support in circumventing geoblocks. Whenever a streaming site blocks one of ExpressVPN’s IP-addresses from accessing their service, new ones pop up instantly. VPN users won’t even know this happens. But it happens all the time, keeping the service up and running despite the best blocking efforts of big streaming parties like US Netflix or BBC iPlayer. As noted above, ExpressVPN offers the possibility to do speed tests in its apps for any of their servers. The company advertises their commitment to bringing you the best speeds, and we couldn’t find fault with that statement. We ran speed tests both through our desktop setup, and through their app, one right after the other, and clocked a neglectable loss of 2 mb/s for downloads when ExpressVPN was engaged, and 1 mb/s for uploads. All the while every server we checked appeared to be super stable. All good things come at a cost, and ExpressVPN is no exception. Their service is one of the more expensive amongst VPN providers, and doesn’t have a free trial period, like many other VPN providers. Instead, there is a 30-day money-back guarantee – you’ll pay a fee for one month’s access, which will be refunded if the service doesn’t live up to your standards. Costs are very clear. A full service package sets you back 12.95 dollar, the price dropping with longer subscriptions. Options vary from one month to six months to (a somewhat weird) fifteen month-subscription service. This drops the monthly fee to 6.73 dollar. Free VPN’s are available, but we don’t recommend using these. How privately and anonymously you operate on a VPN can be a matter of interpretation. But ExpressVPN has you covered whichever way you look at the issue. Their apps encrypt your online traffic through much-valued encryption protocols OpenVPN, PPTP en L2TP/IPSec, with OpenVPN as the default. The same careful approach you’ll find at ExpressVPN’s log policy. They will simply not log data about you, your surfing habits, or what you downloaded from where, and even refrain from using so-called connection logs which register when a user logs on or off. Another good feature is the use of zero-knowledge DNS. DNS is a technology used to translate computer names to IP-addresses, and vice versa, playing a key role in transferring data through the internet. Use ExpressVPN, and your DNS is hidden from anyone trying to find your identity. 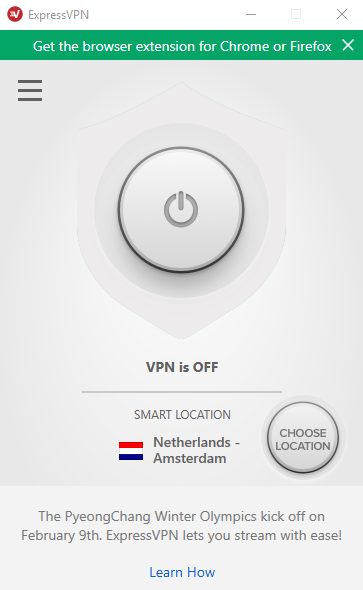 Last but not least ExpressVPN’s Windows and Mac apps have the extra functionality of a lock killswitch, killing the internet connection the moment your device loses connection to the VPN-server. This will bring your up- and downloads to a full stop. But won’t leave your device open to any visit from unwanted visitors. ExpressVPN has a proactive stance on downloading torrents and accessing geo blocked video-content worldwide. As stated before, ExpressVPN replaces their VPN IP-addresses faster than US Netflix can block them, ensuring quick access to things like US Netflix or BBC iPlayer. It goes without saying this is good news for film buffs worldwide. US Netflix has more movies and series, and has them before they air in other territories. Besides support with circumventing geoblocks, ExpressVPN encourages using Bittorrent on their servers. Combine this with the company’s no-log policy and its own DNS service, and you have something close to downloading heaven. No modern internet company can be without proper customer service, something ExpressVPN has really taken to heart. Their customer service is well-organised and accessible, but we were even more impressed by their support pages. You’ll find a treasure trove of very good tutorials and FAQ-lists, detailing possible problems in language everyone with a grasp of basic English will understand. Besides an online ticketing system, ExpressVPN also offers a 24/7 service through their helpdesk-chat. This is a lively operation: its operators are quick to answer your queries, are technically apt, friendly, and generally very much on the ball, which is much more than we (have come to) expect from a chat function. The most important question you want to ask a VPN service is about the level of safety it provides. The impression we get from ExpressVPN is: this is top notch. The provider supports the current generation of encryption protocols and checks all the boxes when it comes to security in general. There is no log keeping, circumventing geoblocks is actively endorsed, as is the use of Bittorrent. The second big thing for VPN services is speed. ExpressVPN scores high marks with us, and may even be one of the fastest services around today. 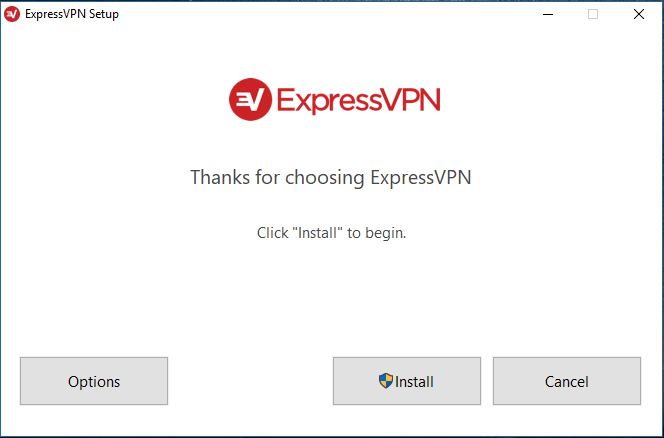 This level of security and speed comes with a price, of course: ExpressVPN is a more expensive service, but well worth your investment if you’re dead serious about your online anonymity, privacy, security, and download speeds.